Our biology tutors can offer general or specific support in any area of biology; Anatomy, Botany, Genetics, Human, Immunology, Microbiology, Physiology, Zoology. We offer specialise service for IB DP HL SL Studies Biology IA Labs and extended essay. Our biology tutors can also prepare students for any exam from SATs in year 2 to common entrance exams. 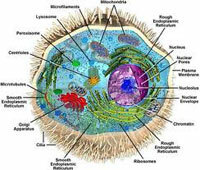 The different areas of Biology that our tutors offer are IB DP HL/SL Studies, IGCSE, ICSE, CBSE, AP, AS, O/A Level, GCSE, ACT, SAT II, GRE, EDEXCEL, PMT, etc.